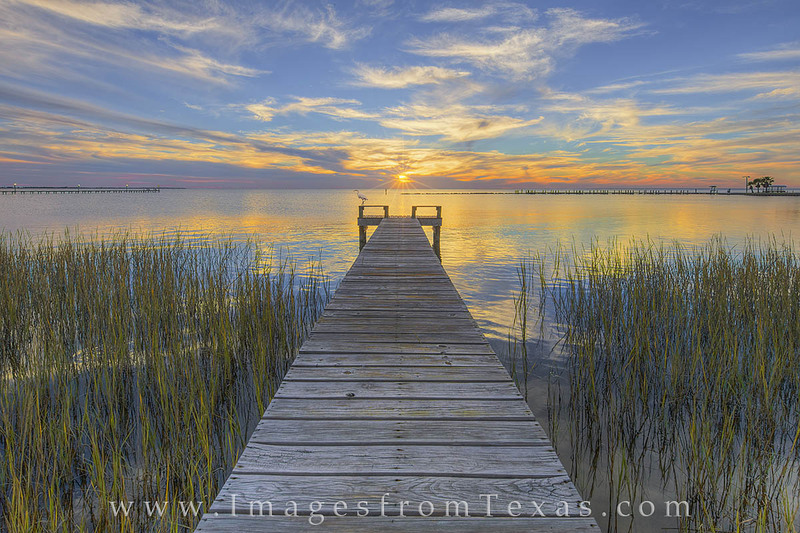 Along the grassy shores of Copano Bay in Rockport, Texas, a small pier reaches into the salty waters of the Gulf Coast. At the end of the pier, almost as if posing for this sunset moment, an egret stalks small fish in the shallows. Photo © copyright by Rob Greebon.